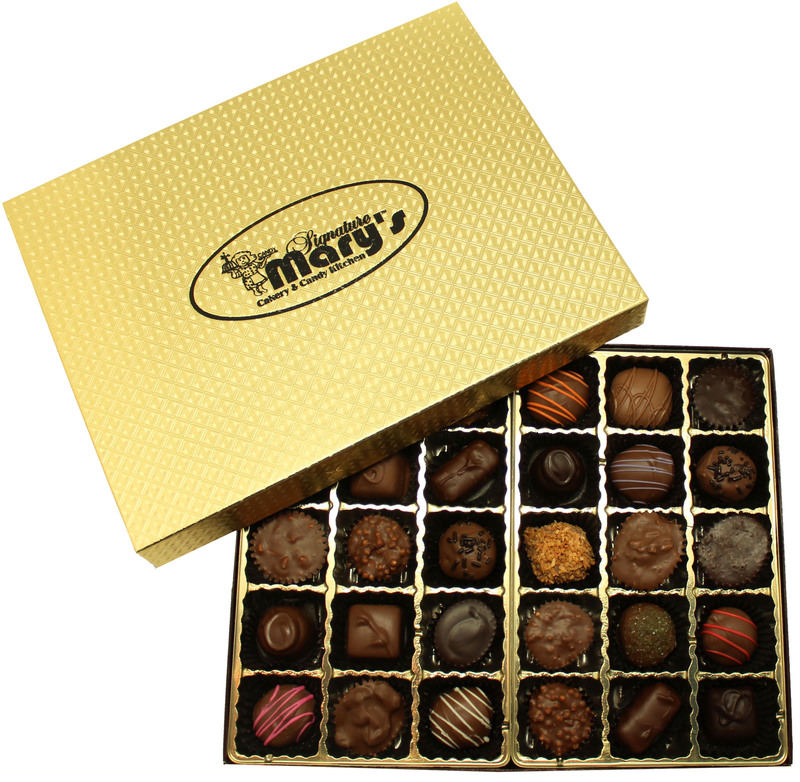 This elegant two pound box is one of our largest assortments of freshly made chocolates. Two layers of row after row of hand-dipped creations in a wide variety of nuts, cream centers, cordial cherries, peanut butter fillings and crunchy toffee to name a few. 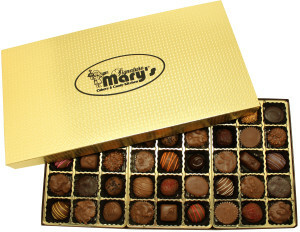 Makes an impressive holiday gift, or great for large parties or even just you and your family. 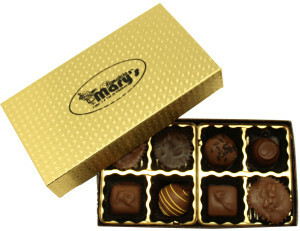 This box of chocolates is sure to please just about everyone.